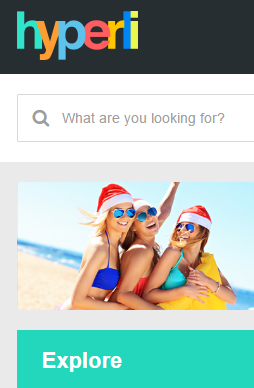 Bargain hunters will be pleased to hear that Hyperli, a hyperlocal hypermarket of a deal website, on Wednesday promised to fill the space left when the international discounting business Groupon exited South Africa last month. 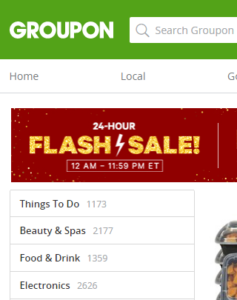 Groupon groupees were left feeling short-changed by what seemed to be a sudden exit in early November. At the time, Groupon was reported as saying it was withdrawing from a number of markets – from South Africa to Switzerland and Panama to Portugal – “to focus our energy and dollars on fewer countries”. Not much longer than a month later, and just in time for Christmas, online discount hunters are hoping that the newly formed Hyperli will honour its pledge to “take the online deal marketplace by storm”. South African consumers were increasingly likely to shop online with the availability of great deals cited as a reason for the migration, alongside saving time, as well as access to reviews and price comparisons. Online deal-of-the-day services have been credited with introducing customers to new brands, and driving brand awareness and sales. Research from Groupon showed that around 80 percent of merchants who have used deal sites to attract new customers indicated that they would use them again. “Times are tough for South African consumers and business alike so being able to deliver well-priced, immediate deals makes great business sense,” said Hyperli chief executive and founder, Wayne Gosling. Funded by Team Africa Ventures, the early stage investment fund run by entrepreneurs, and backed by the team that brought Groupon to South Africa, the Hyperli platform incorporates various standout features, the company said in a statement. The merchant offering includes enriched data analytics and seamless redemption through the Hyperli merchant app. “Recognising that cashflow is king to small business, a transparent pricing structure has been incorporated so that business owners can select the right deal redemption criteria to meet their business needs,” the statement said. 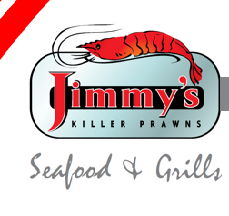 Hyperli added that it had formed strategic partnerships with popular South African brands, including Ster Kinekor, Unilever and Jimmy’s Killer Prawns, to deliver exciting deals in the run up to the festive season. The company said it valued its relationships with local merchants and had prioritised cost-effective business solutions that drove growth as a core objective in the coming months. “Hyperli aims to be the business platform that assists SMEs with systems that can manage marketing, reservations and payment so that they can concentrate on what they do best, offering their customers amazing experiences,” it said. Hyperli has its sights set on becoming South Africa’s foremost online commerce player. Over the coming months, the company said it would expand its reach to cover all major cities across categories such as food and drink, beauty and spas, things to do, goods and getaways.